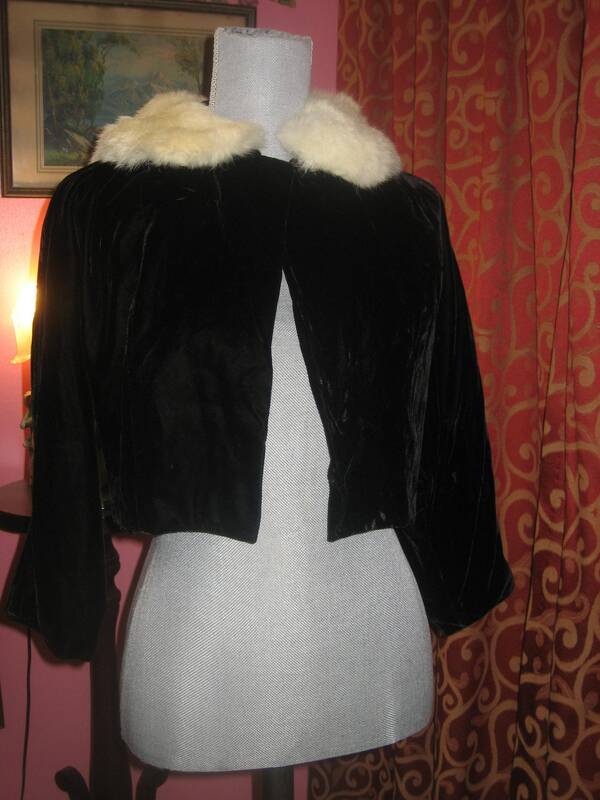 1950's, 34 bust, short black velvet jacket, with raglan sleeves, and a white mink collar. 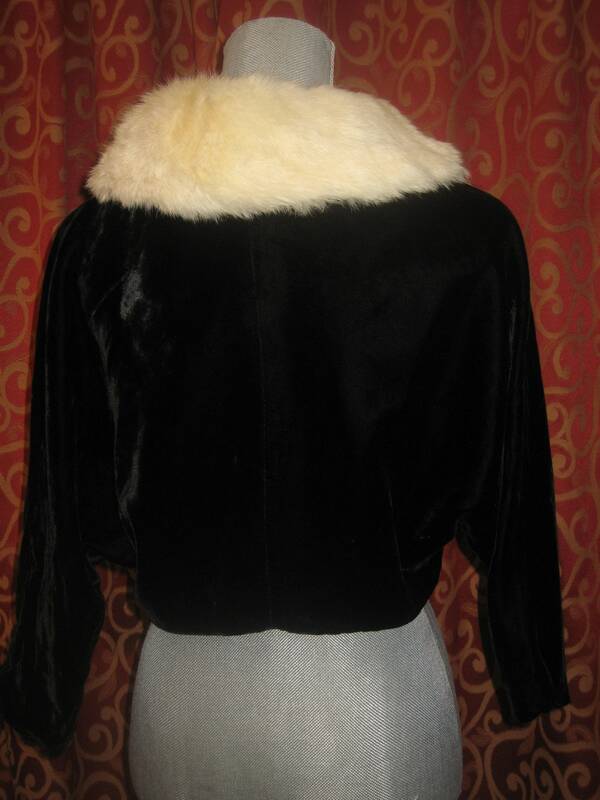 1950's, 34" bust, short black velvet jacket, with raglan sleeves, and a white mink collar. 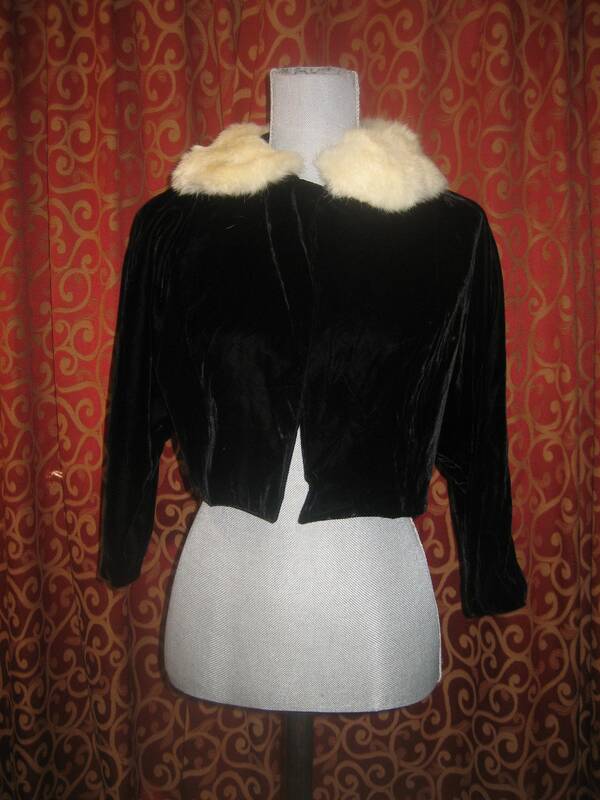 1950's, 34" bust, short black velvet jacket, with raglan sleeves, and a white mink collar. 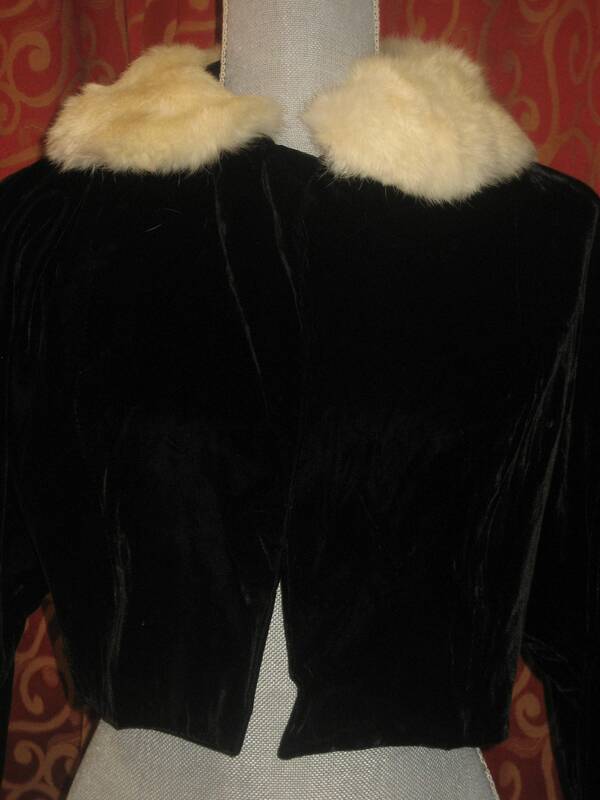 The jacket is fastened in front with a small black velvet button placed under the collar in left. Jacket is hip length, and fully lined in black rayon satin. Condition: very good, loop for button needs to be replaced.